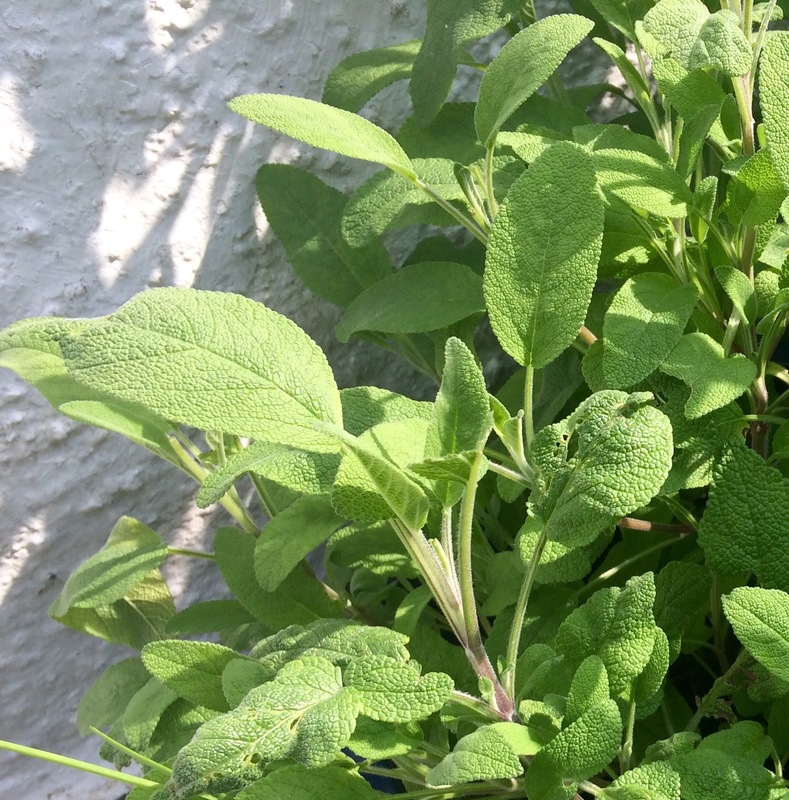 While coriander is my favourite herb (controversial, I know), I also love sage. 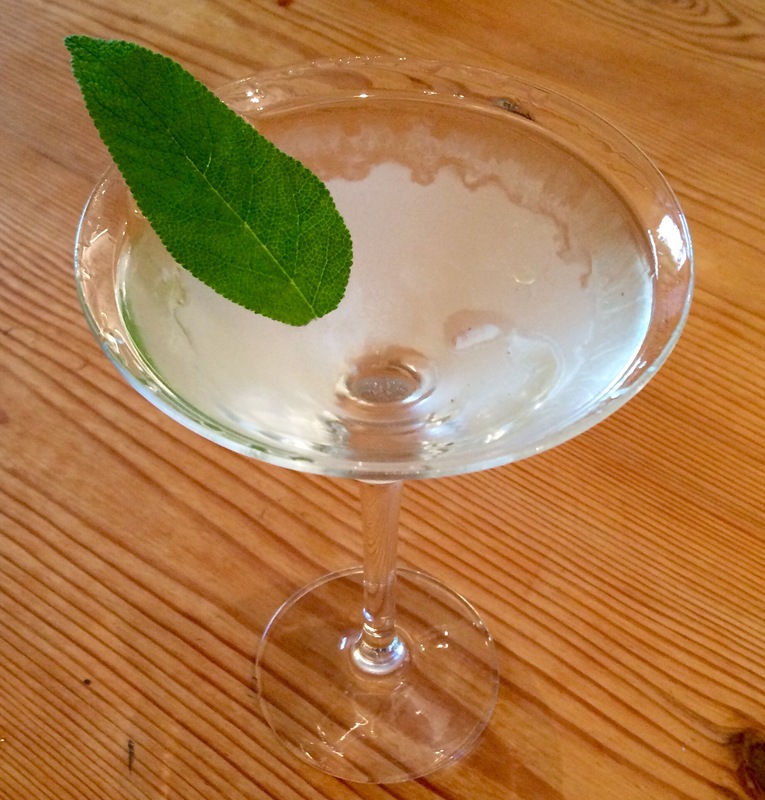 I previously made a sage-infused gin which goes nicely in a gin and tonic. However, this sage recipe is very easy and infinitely faster than making an infusion. 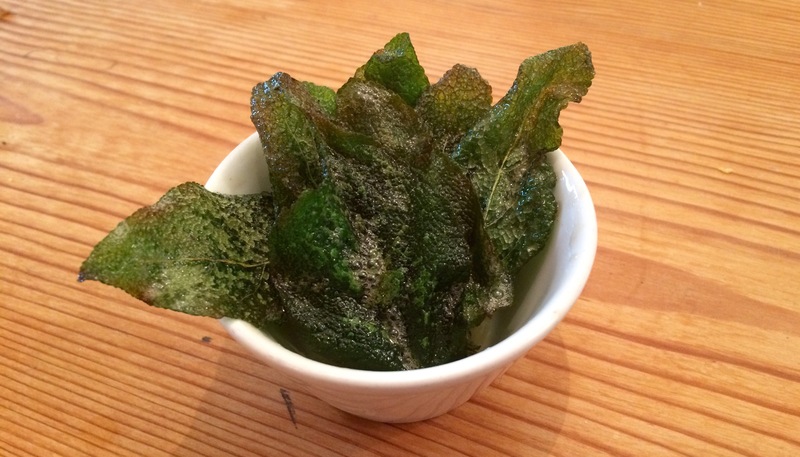 Pick around 8 sage leaves per person (or more if they’re small or if you want to eat a lot). 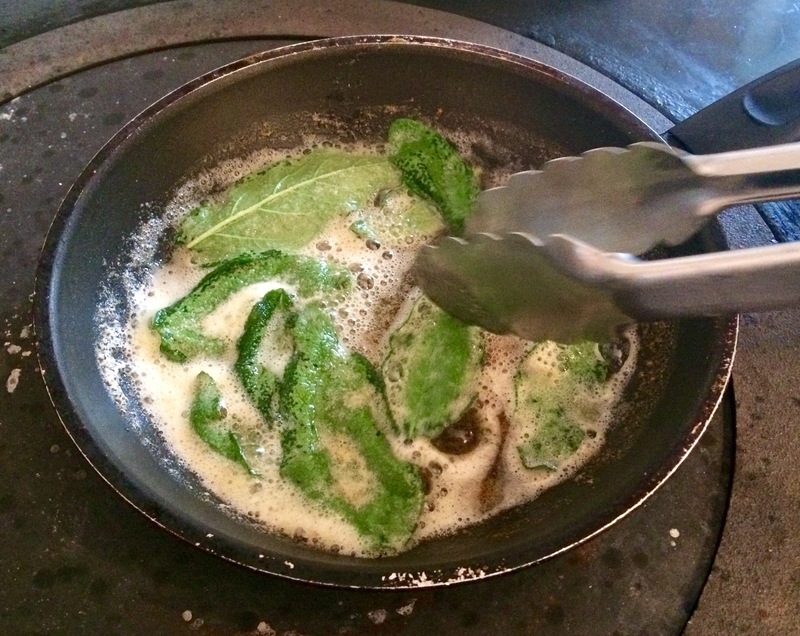 Fry them (potentially in batches) in salted butter on a high heat for about 2-3 minutes. The butter should be foaming but be careful not to burn it (remove it from the heat if this starts to happen). The leaves are ready when they’re crispy with tinges of brown colouring. Serve immediately and eat with your fingers (although you can use a fork or chopsticks if you prefer). 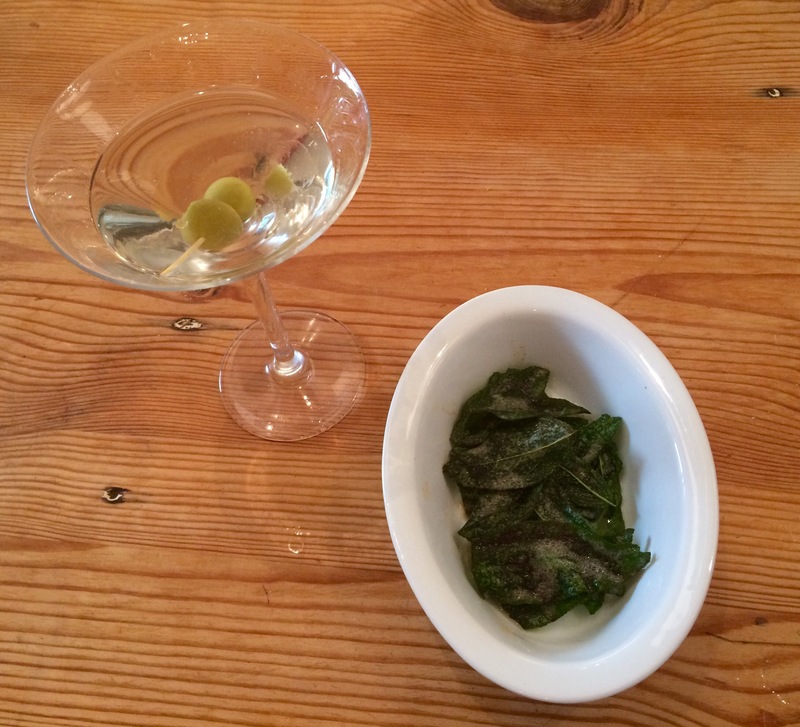 Save the leftover butter to pour over food (like potatoes), perhaps if you have a meal after your martini and snack. And there you go. It’s like eating fragrant, salty, crunchy air that slides over your tongue. It’s particularly satisfying if you’ve grown the herbs yourself.